The internationally-available and long-respected products and services of leading industrial company Atlas Copco are renowned for being as efficient as they are versatile. One of the many services they offer is access to industrial gasses and gas generators, an essential element in technology utilised by many industries worldwide. 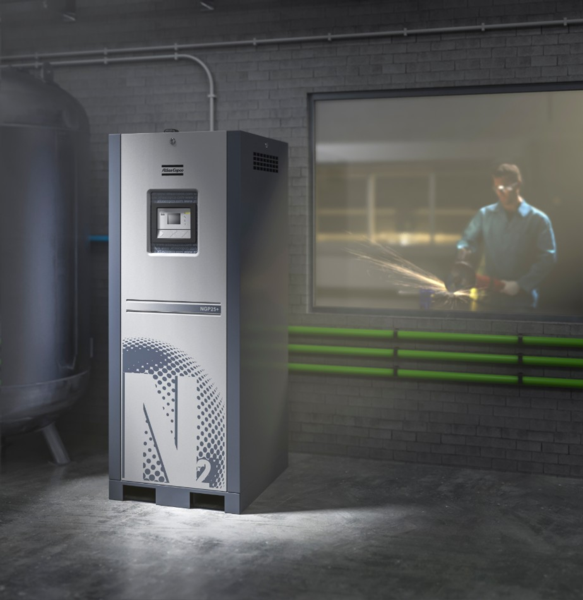 Atlas Copco can offer industrial gas generator options for nitrogen or oxygen generation, solutions which are both innovative and energy-efficient. “Making your own industrial gas enables you to produce the right required amount of nitrogen or other gas to meet your exact need, and at the purity that your application requires,” says Brian Jack, CTS Aftermarket Sales of Atlas Copco’s Hamilton branch. A huge variety of industries rely on the products and solutions that Atlas Copco have been providing and servicing for decades, including engineering, agriculture, food and beverage, mining, healthcare, and many more. “Many businesses do not realise the amount of money that is spent in buying nitrogen,” Brian says. With service technicians available in eleven different locations throughout the country, in both the North and South Island, Alas Copco are more than able to service what they sell, standing by the quality of their products, and are dedicated to providing their clients with the best possible customer service. With an emphasis on environmental care, a readiness to deal with unexpected emergencies, and technology that puts safety first, Atlas Copco is the go-to business for industries both at home and off-shore. For more information on Atlas Copco’s industrial gasses and services, visit them here.